Welcome to my family history site. To the left you will see links to different pages on this site that are dedicated to the genealogy of the branches of my family. Under "tree" you will find a link to the family spreadsheet information of each branch, under "family" you will find further information and details about various generations and family members and under "pictures" you will find pictures of people and places associated with that branch. The site is always evolving as I gather more information and photographs so do revisit to check whether there is anything new and of interest from time to time. 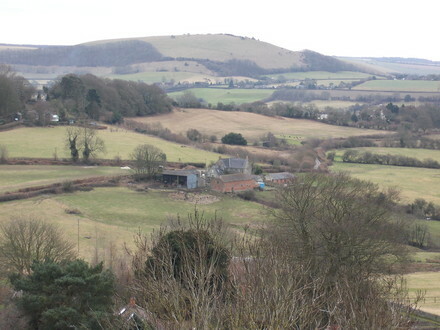 The picture above is of the Blackmore Vale towards Melbury Hill from Shaftesbury, my home town. My family have been based in the counties of ancient Wessex for centuries. Two sides of my family on my father's side (Wareham and Hiscock) were mainly Dorset folk whilst the othger two lines on my mother's side (Horler and Talbot) were Somerset people. 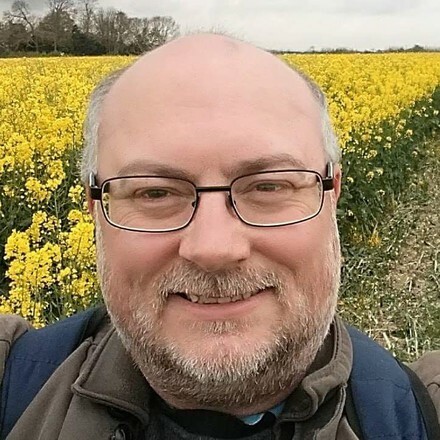 There are connections with Devon, Cornwall, Hampshire, Wiltshire and even further afield to Yorkshire on one particular line. There are links through some branches with heraldic pedigrees, to medieval times and into the 'dark ages', even the end of the Roman Empire. I hope that you find your visit to this site to be of interest. I think it is fascinating to discover the names of ancestors who have long been forgotten and revealing at least some of the stories of their lives. Why bother with family history? Well apart from being an excellent way to rediscover history by tracing ancestors and putting them in context it is interesting to know the stories and histories of people who passed a little bit of themselves down to us, either in terms of their genes or their life experiences that are transferred from one generation to the next. When I first started this hobby over 20 years ago I did not realise how rich, diverse and interesting one's family background could be. I have discovered people who were farmers, labourers, soldiers, quarrymen, navvies, preachers, sailors, coal miners, hauliers and carters, merchants, weavers, knights and nobility. It really is astonishing what investigating your family roots can reveal and you can find some remarkable stories. One thing I have learnt over the years is not to always rely on other people's research posted on the internet, particularly if it is not reliably sourced or explained. There is some very good and credible stuff out there but also alot of, frankly, rubbish which does not stand up to serious scrutiny and which is made up to fit certain lines which people want to exist but really don't. I suggest that you do need to test it out yourself if you can and look into the source information and reach your own conclusions. I like to think that the information on this site is always well founded and I always make sure to note where an ancestral line is 'probable' or 'possible' and not necessarily proven by fact and if that is the case why I have reached those conclusions. I also test my research and if something comes to light which shows that I have got something wrong then I am not too precious as to scrap a particular line and start again. This can happen occasionally if, for example, you find a will that tells you someone did not marry who you thought they did, or the person you thought was an ancestor actually died in infancy, or that person actually married someone else or another person with the same name existed or they were not at the right place at the right time. It really is a detective story! A Chinese proverb sums up the value of the study of family history for me - "to forget one's ancestors is to be a brook without a source, to be a tree without a root". If you are part of the wider family described on this site I would love to hear from you. Or if you have any questions please do not hesitate to drop me a line. I am always happy to try and help anyone with their family studies as much as I can and it is for this reason that I have set up this website. I am not at all precious about the information which I have gathered and is on this site, although I like to be attributed if you do borrow from it. I think family history information is there to share with people who have connections to the same families.